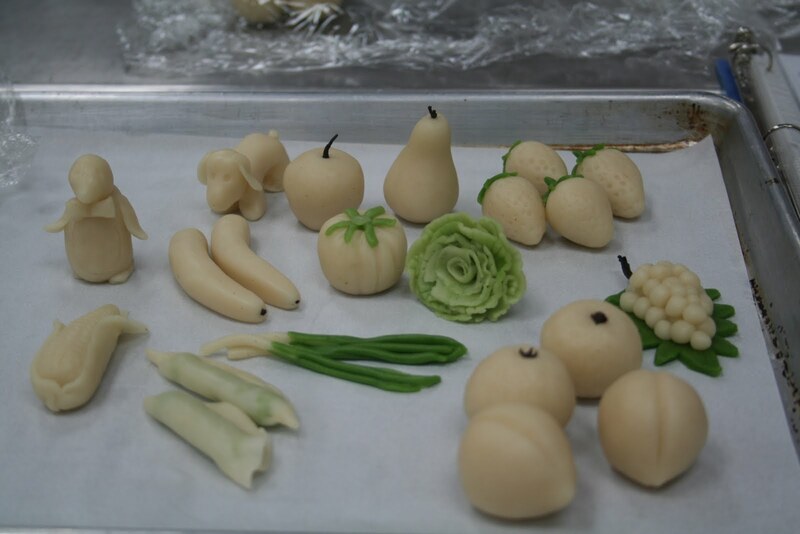 We made marzipan fruits, vegetable and animal figurines. It was one of the most relaxed days since the start of the program. 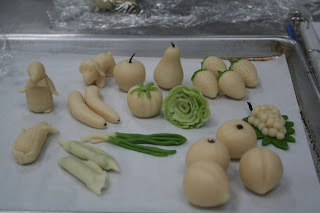 We painted/air brushed the marzipan which are intended to go on a nougatine basket that we are going to make tomorrow. I hate scallions (the real thing), so I am looking forward to eating the marzipan version tomorrow. I can imagine the experience to be rather odd - my mind thinking to expect that raw sulfury nasty smell yet it's going to be sweet, nutty and chewy. I'm impressed with your figurines. But did a penguin fall down and die in the picture or maybe it's bok choy.